We might find a people around us who dependably blame luck for any disappointments. People are raised in a different environment, and sometimes they search for an alternative how to proceed with desires in short time. Truth is that there can be no achievement is possible in life without working hard and taking chances in order to accompany anything. Blaming luck for every failure leads to dissatisfaction always and restrict us to move ahead with a new opportunity. If we wish to have great achievement in life, we should not spend time envying the person who has it. Spend time on building skills and working toward the next step to land that task. Nothing will ever happen unless we put efforts on things. Waiting for luck to take action then you will wait forever, it takes hard work and right strategy to reach top. Selection of path to reach goal can be different and someone you made mistakes, but there's no point in crying over spilled milk. Luck happens as a result of taking action, something we all have the power to do. When we characterize success as well as failure to only external factors, we lose the control over our own destiny. In fact, we all have the power to, as they say, make our own luck by hard work only. 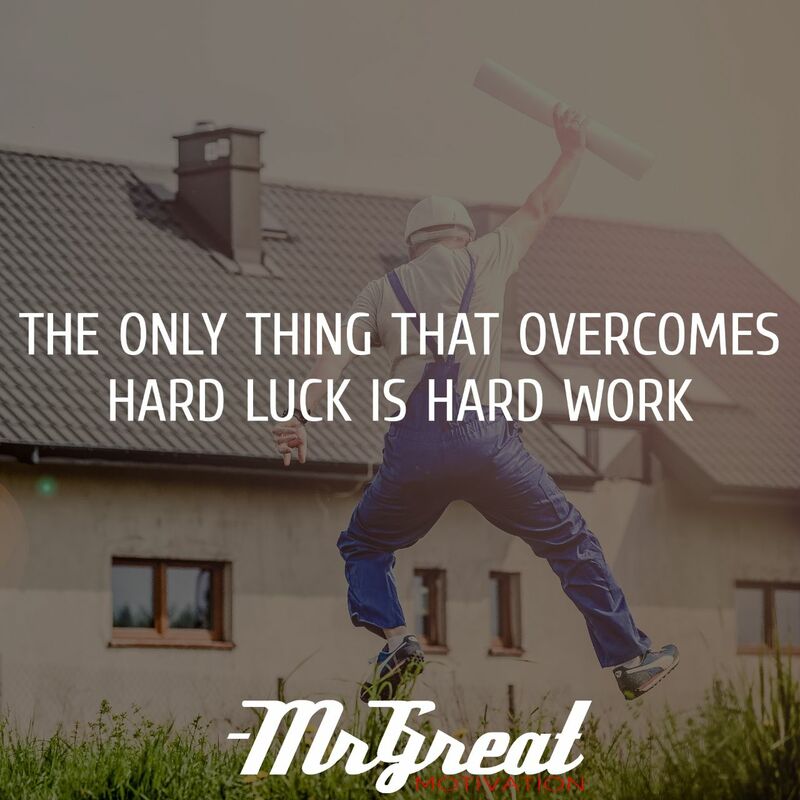 There is no alternative for hard work to overcoming hard luck.